The LEGO Ideas WALL-E set will allow you to build a beautifully detailed LEGO version of the last robot left on Earth. This set is based on the award-winning animated classic and will delight discerning youngsters aged 12 and up who want more complexity in their LEGO building kits. The making of this model began alongside the creation of the lovable character for the popular Pixar feature film. This set was co-created by Angus MacLane, an animator and director at Pixar Animation Studios, and the LEGO Ideas development team. It has taken almost a decade to perfect the LEGO WALL-E. It incorporates many of the robots authentic characteristics. 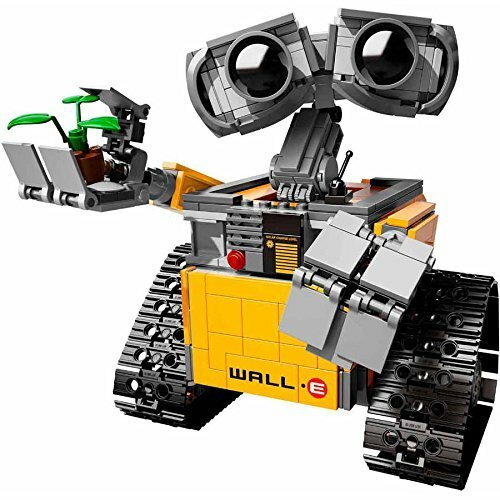 More than just a basic LEGO figurine, this WALL-E animation toy comes equipped with many features to make him more expressive and able to react to his surroundings. These features include a posable neck and adjustable head and arms that can move both up and down and side to side. If you have any questions about this product by LEGO, contact us by completing and submitting the form below. If you are looking for a specif part number, please include it with your message.